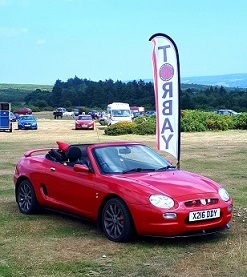 Event Description: New Years Day Gathering for lunch from 12-3pm at Dainton Park Golf Club, All MGs new and old welcome to attend, whether you are a owner or just an enthusiast - you are welcome to join in. 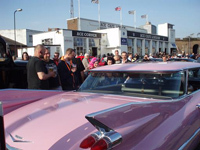 Event Description: Stony Stratford Classic car Festival on New Years Day. This is a very informal gathering of like-minded individuals. 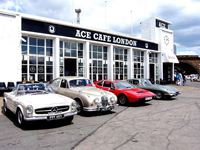 Number of Cars Attending: . Event Description: Had enough of turkey, chocolates and the family? Then start the New Year as you mean to go on! Come and join Yeovil Car Club at their annual New Years Day event from 10.00am to 2.00pm. Event is open to everyone, both members and non members. �3.00 per car. Event Description: On the 1st January 2019 our annual New Year Lunch this year will be held at The Stirling Highland Hotel. This hotel was once the High School of Stirling. Less than a 10 minute walk from the city�s historic castle. The approach to the hotel is up one of the streets leading to Stirling Castle. Event Description: This New Years Day gathering at The Frogmill. Shipton Oliffe,. Free to attend, all donations go to our charity Youth @ Heart which supports young adults with life limiting heart problems. Event Description: This is a no nonsense trial starting involving tough off road endurance stages in Devon. Event Description: The run starts in Bromborough on the Wirral. After a short break at Rhos-On-Sea the run then heads along the coast road and up the Great Orme in Llandudno. The toll road (�3 payable on the day) up the Orme is a great road for minis and the views from the top across Snowdonia are amazing whatever the weather. After a short stop the run heads down the Orme and it ends on the promenade. Cars park on the prom for a few hours allowing plenty of time for photographs, lunch and even some January sales shopping. Event Description: Join us for the first Sunday Scramble of the year - a great way to clear the head and the rev up that engine! 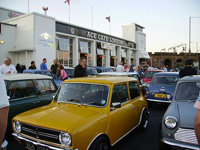 This intrepid access-all-areas show encourages all Scramblers to shake off the post Christmas and New Years inertia and take their prized vintage, classic or modern classic vehicle out for a bracing blast to Bicester Heritage for the morning. With plenty of fortifying hot drinks and food on offer, workshops to warm up in and showrooms to browse, the January Scramble is a restorative adventure for all the family. Event Description: ***No 2019 information available yet for this event*** The Historic Rally Car register open day at Gaydon If you want to know more then visit the HRCR Open Day on Saturday at the National Heritage Museum at Gaydon, Warwickshire, (M40 Junc 12). 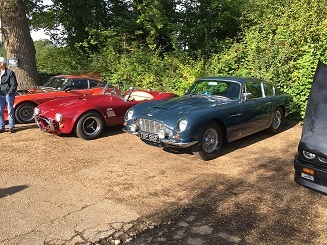 The event is very much a social gathering where you can see the cars and meet the event organisers covering every facet of historic rallying. . 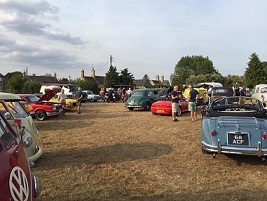 Event Description: Great North Road Vehicle Gathering A special vehicle meet and mystery road run.. Held at the Stibbington Diner. 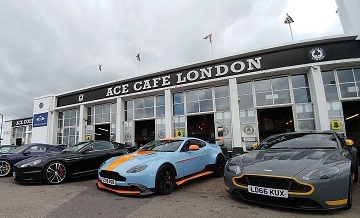 An historic cafe that has been in this location next to the Great North Road for many decades. Vehicle meets have been held here for the last two years. Enthusiasts can arrive and leave as they wish. Event Description: Now firmly established as the season opener, admission �6.50 per adult , under 15s free, onsite restaurant , free parking, well behaved dogs on leads welcome. Event Description: As in every year since 1995, the MAC's sporting calendar commences with the classic trial around south Shropshire. 2017 was the 70th Anniversary of the Clee Hills Trial. The 1947 event, which was run in heavy snow, features in C.A.N. 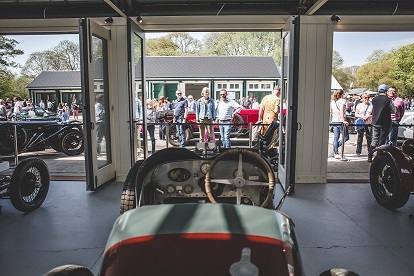 May�s classic book �More Wheelspin�.� 2019 sees a new look to the event, with the introduction of classes for motorcycles. Original organiser Simon Woodall steps back into the role of Clerk of the Course.